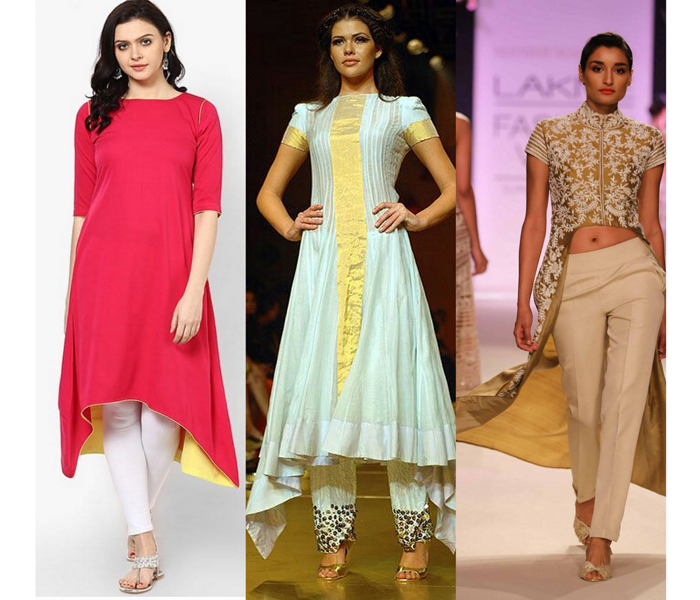 Kurti has certainly emerged as a winner among the Indian women. Every woman , be it a working professional, college going girl or a housewife loves to don a kurti. 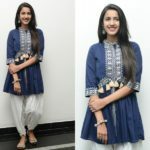 The best thing that makes kurti the favorite outfit of every Indian woman is that one can pair it with different bottoms. 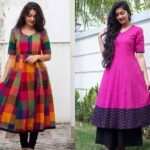 Some of the most popular bottom options for kurtis are jeans, leggings, jeggings, palazzos, straight pants, churidar, shorts, dhoti pants etc. 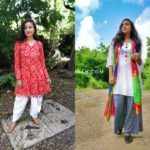 These days the hot favorite bottom to pair with long kurtis is straight pants. 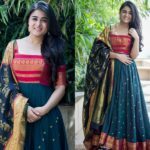 These days you can find so many long kurtis with different patterns like asymmetrical cuts, front cuts, zipper ones, anarkali style, collar neck, button front etc. 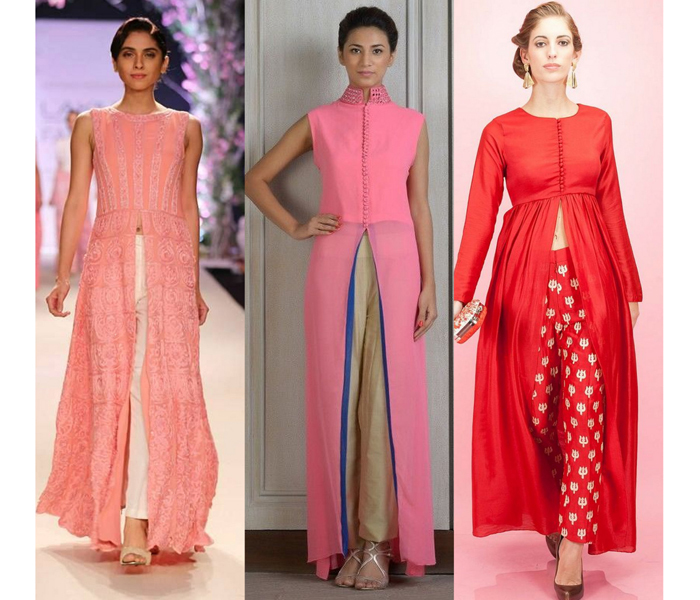 All these long kurti gets a smart look when paired with straight pants or you can also say cigarette pants. Want an everyday casual look with some style quotient? 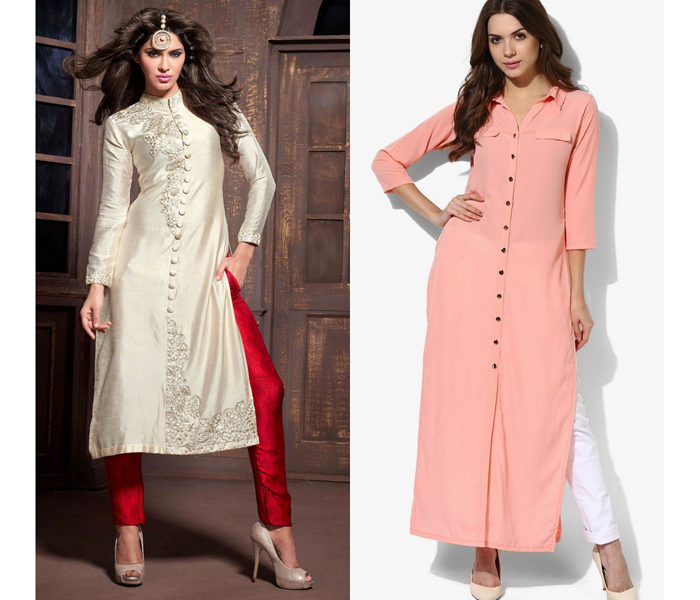 Then simply pair your normal kurtis with a sleek straight pant instead of leggings. What else can make all college goers and working women more stylish than this? If you want a fashion forward feel with your kurti, then pair a straight pant with a front cut kurti and be a rocking fashionista. To look more glamorous, opt for textured or shimmery straight pants. Then to give final touches, go for a chic hair bun and clutch box to round off the look. Straight pants will give more refined look when paired to high low kurtis. 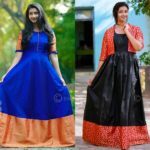 These days the market is so full of fashionable high low kurtis . Get one and team it up with either straight pants or an embellished one. Then the day is yours to shine. The much trendy Anarkali kurti can also be worn with straight pants. They key is to get a trendy one that has side slit or front slit, so you can flaunt your pants with a dashing style. 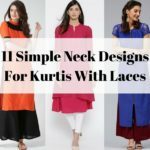 Another chic option to try with straight pant is collar neck kurtis. This style can be conveniently worn to formal occasions and also for festive looks depending on the type of fabric you chose for your pants and tops. 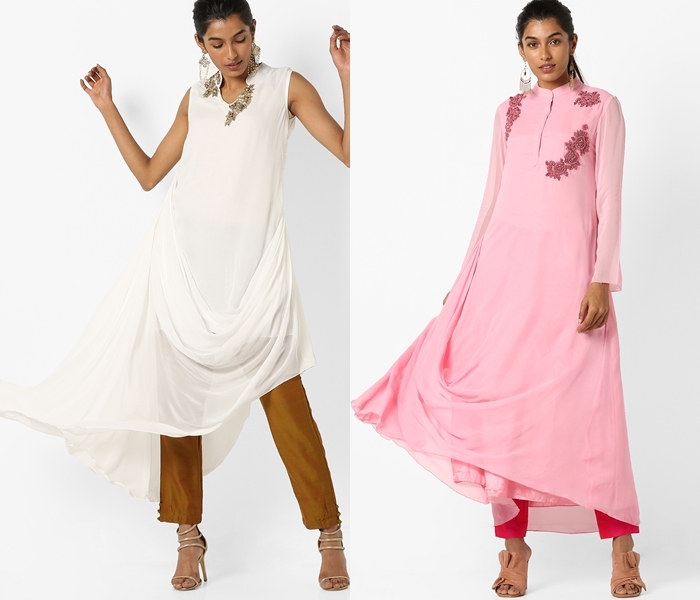 This year make a statement with the much raved boat neck kurtis with a sleek straight pant. This stylish neck kurti when paired with structured pants is bound to keep all attention on you. So be prepared for compliments when you wear this combination. This flowy relaxed kurti is often paired with fitted leggings. However, the drape style kurti can be a head turner if you wear them with straight ankle length pants. Besides the comfy factor, you can’t simply deny that this duo bring such understated elegance to your look. Well for an effortless style all you need to do is pair your favorite straight pants with long kurtis. 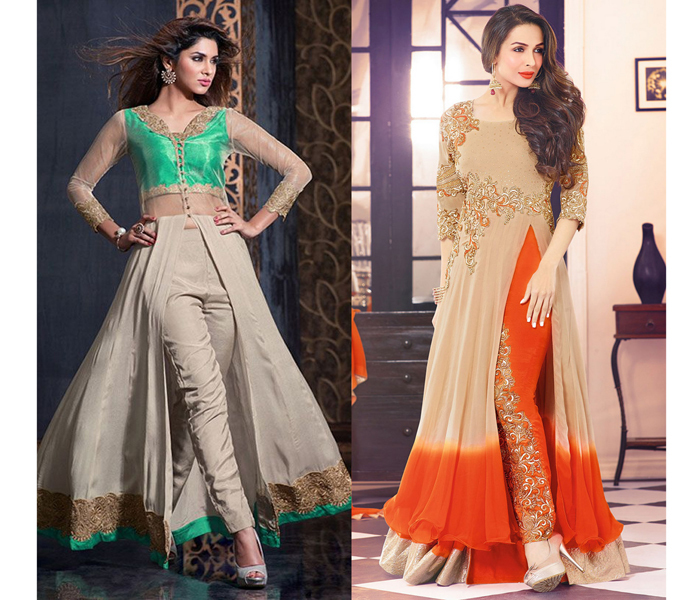 Take some fashion ideas from the above mentioned looks and walk like a diva to your next party. 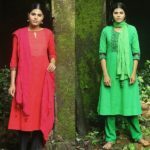 You can both mix and match the pants and kurti or you can also buy the straight pants and kurti online. 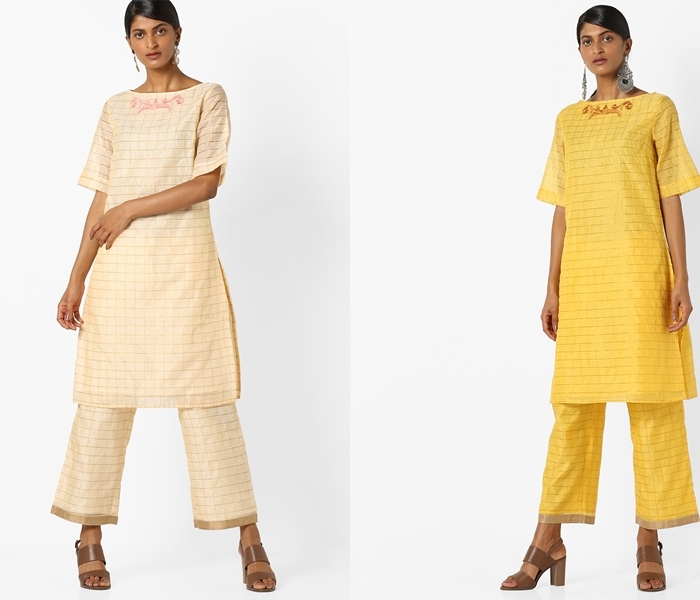 Don’t forget to comment if you have any suggestions for some other kurtis that can be paired with straight pants. 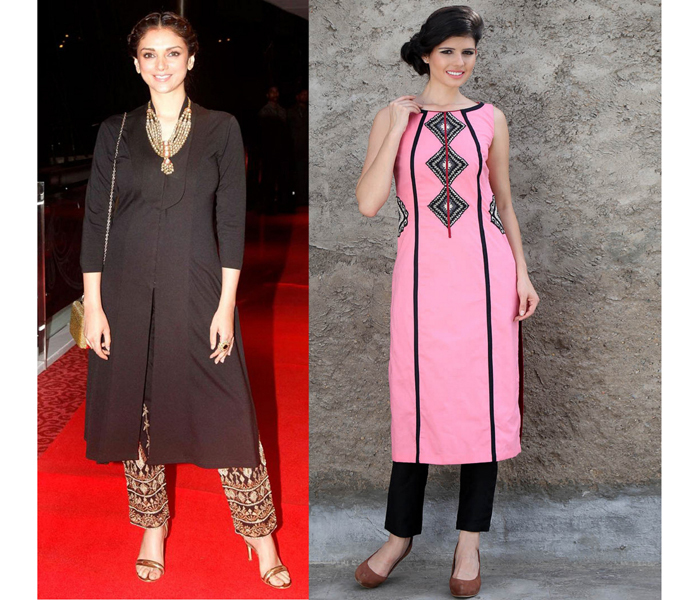 Also let us know your favorite kurti style that you love to pair with straight pants.